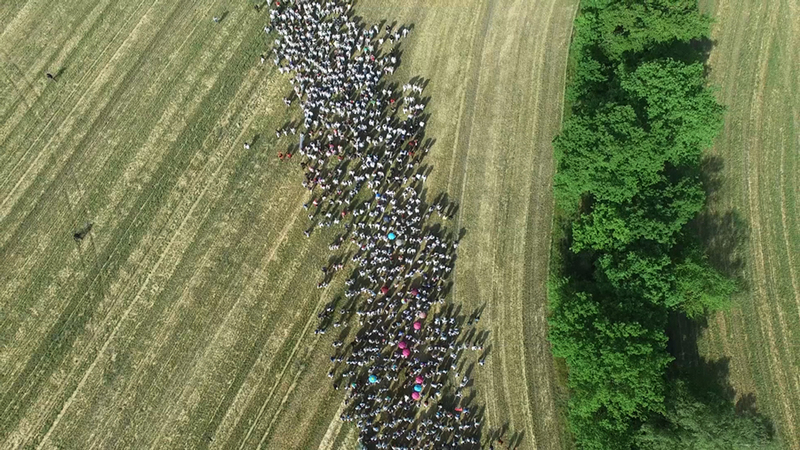 ‘Video still: Ende Gelände wrap-up video.’ 350.org, 2016. For the second Ende Gelände, this year more than four thousand people converged in the Lausitz in the east of Germany for a weekend of actions (13–15 May) in the coal pits operated by Swedish state-owned energy company Vattenfall. In an effort to shift towards renewables, Vattenfall announced it would sell its lignite business to a Czech consortium of energy companies, EPH (Energetický a Průmyslový Holding), who would continue to operate the mines until 2045. In response, Ende Gelände declared itself to be ‘the investment risk’, telling potential investors that coal assets come bundled with a ‘wildly determined resistance movement’. Reflecting on my experiences with Ende Gelände, this text reviews its strategic use of media, and the aesthetics and innovations arising within climate justice movements following COP21. Also, a slightly different version is available as a print yourself A3 ’zine here. Instructions on how to cut and fold are below c/o Dear Colleen.